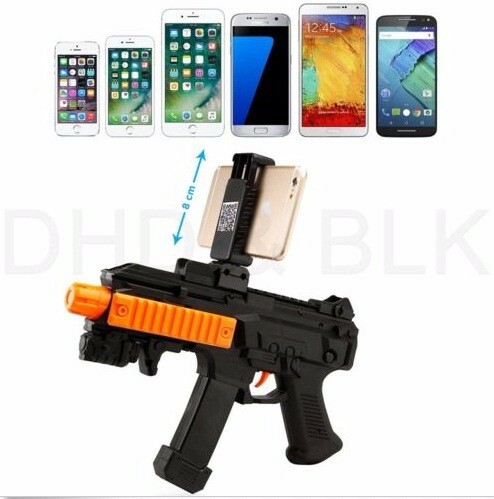 AR Game GUN is a gaming gun designed for cell phones, which combines the real world and the virtual gaming world seamlessly. Using the environmental-friendly OSB material, its smooth surface gives you a safe and healthy guarantee. 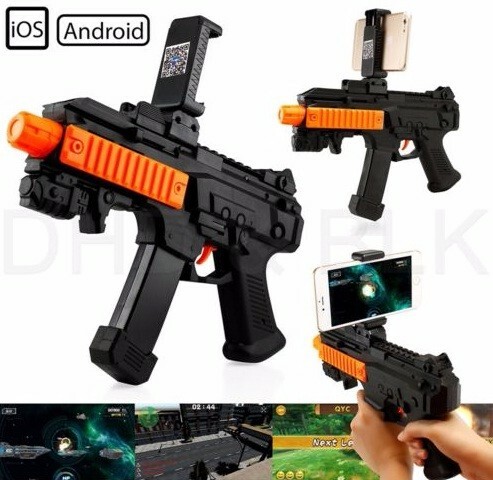 Connected the APP via Bluetooth, AR-GUN toy is optimized designed, holding it makes you feel like a real warrior -Move and turn around, find the enemy and shoot them by the trigger. PLAY IN ANYWHERE: AR-GUN is a portable gaming gun designed for cellphones, which combines the real world and the virtual gaming world seamlessly. 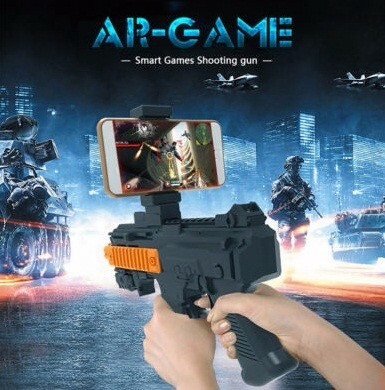 With the AR Game Gun APP, the real world will be integrated with the virtual game world to enhance the realistic experience, make the player via the visual to enjoy the interation between reality and virtual. Eco-Friendly: AR-Gun TOYmade of ABS material, light-weighted but solid, fixed by screws with smooth surface and fine workmanship. 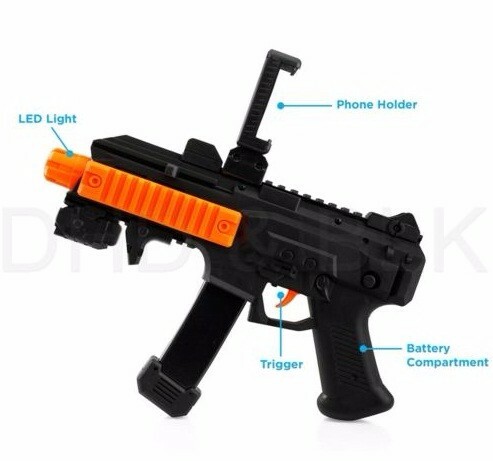 BT Connection: Downloading AR TOY GUN APP by scan the QR codes or from google play or app store, and pull the trigger for 3 seconds to easy connect to your cell phones via BT, wireless, steady and low power consumption.